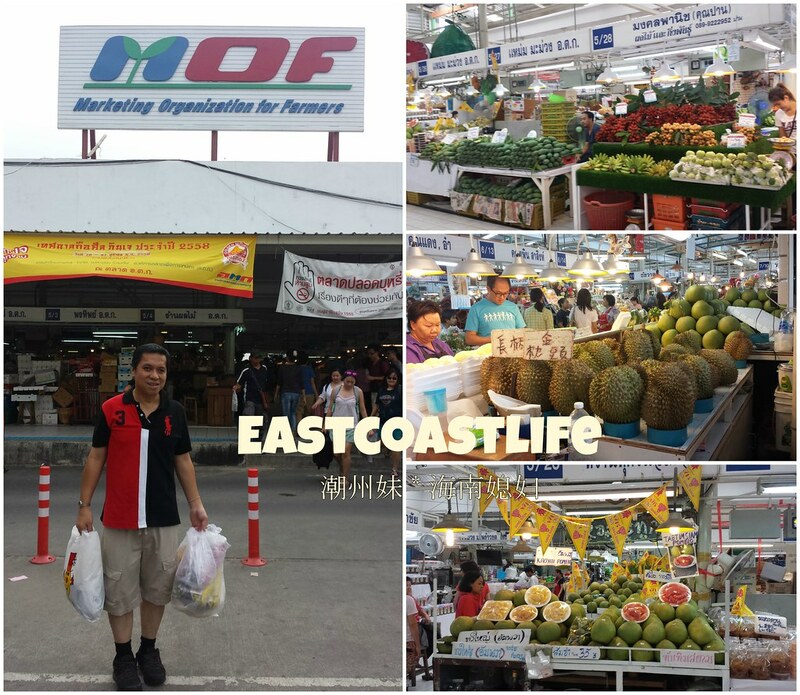 After shopping at Chatuchak (aka JJ Market) Weekend Market, we walked through the underground level of the MRT to this fruit and agricultural market, Or Tor Kor Market. 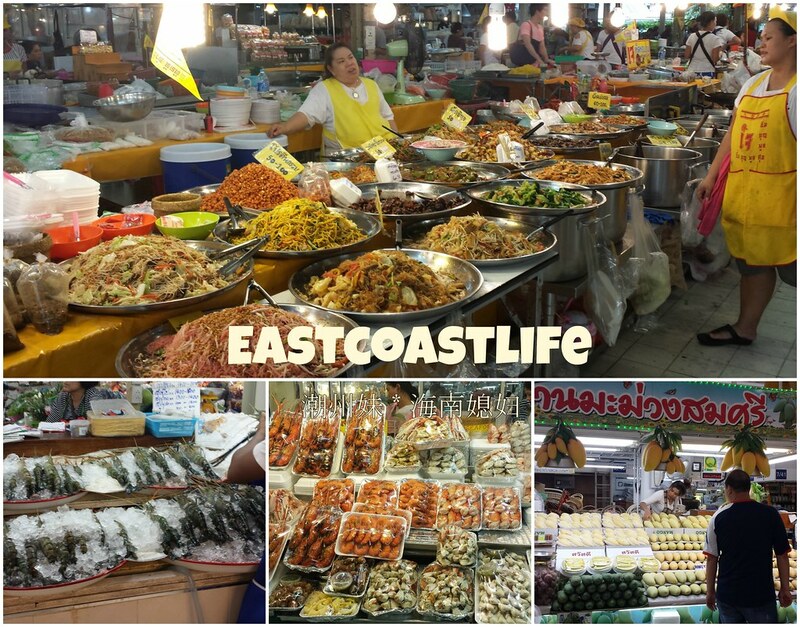 It is a big, airy (no aircon) and clean market where we found all sorts of live seafood, fresh vegetables and fruits. We saw some red pomelos, beautiful big mangoes, huge Thai durians and pomegranates... prices were pretty expensive compared to those sold by street hawkers, but the fruits are of a better quality. I bought my favourite mangoes and a pomegranate. There is also an awesome ready to eat or take home food section. Fantastic selection. Since we were staying a few days in Bangkok, I could only buy dried foodstuff to bring home. 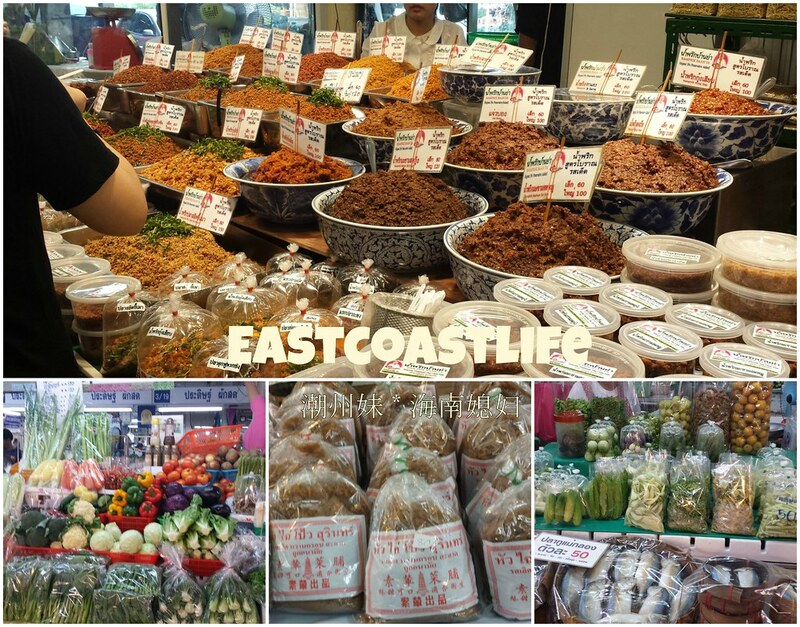 There is a section dedicated to dry goods, I bought salted fish, aromatic spices and more. I bought a kilo of preserved diced radish to cook my hubby's favourite chai poh neng (radish omelette). This Thai sweet preserved radish is so delicious, we cooked it often. 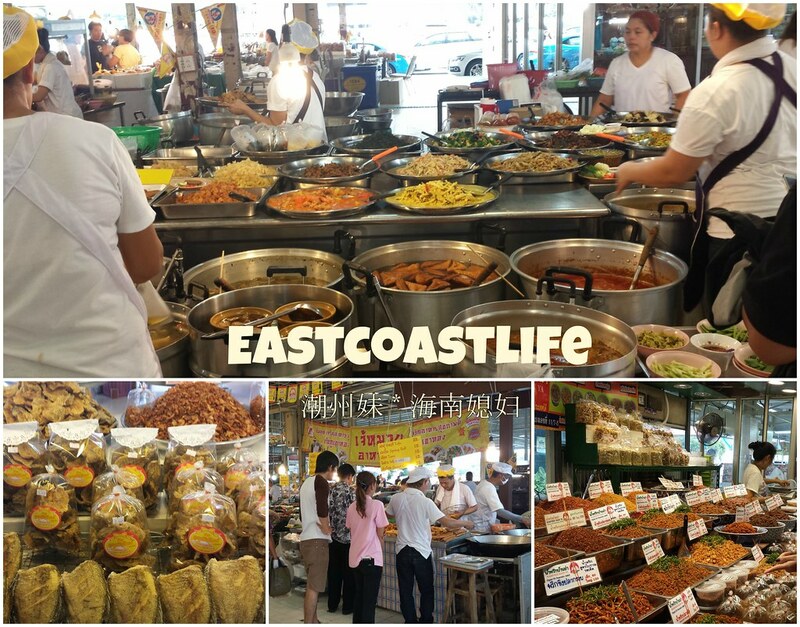 Simply love the convenience of this market where I found all the ingredients I need for my Thai dishes. I had a blast buying various spices, sauces and dried foodstuff for cooking Thai dishes. Although it was almost 4 in the afternoon, the live seafood stall still had a large selection of fresh prawns and lobsters for sale. You can also buy charcoal grilled gigantic prawns. We were so stuffed eating snacks at JJ weekend market that it was impossible to to find space for these delicious seafood. ish. Looked at the cooked food longingly but had to passed them on as there were simply too many places on our to-eat list of Thai eateries that we want to go to. Maybe next trip I will plan a longer stay in Bangkok and takeaway ready to eat food to my hotel for my meals. The market closes in the evening. The closest BTS skytrain station is Mo Chit. Ithink i can spend hours walking around there.